What pen did you use today? 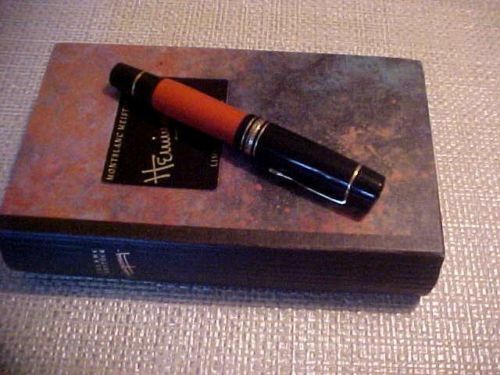 I don’t know much about this, it’s a mechanical pencil my ex mother in law gave me in 1988 when I started my company. I use it all the time and have never had any problem with it. 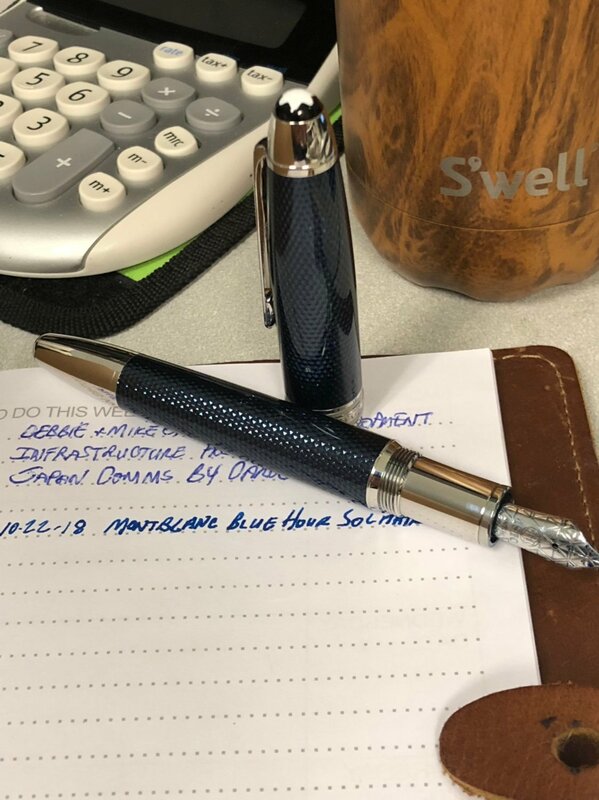 Using my “M” rollerball today. A fan favorite of mine! I have the blue hour midsize ballpoint and hoping to add the FP at some point. I have the same water bottle on my desk as well. I will break this Hemingway today. I hope you really mean “break in”! 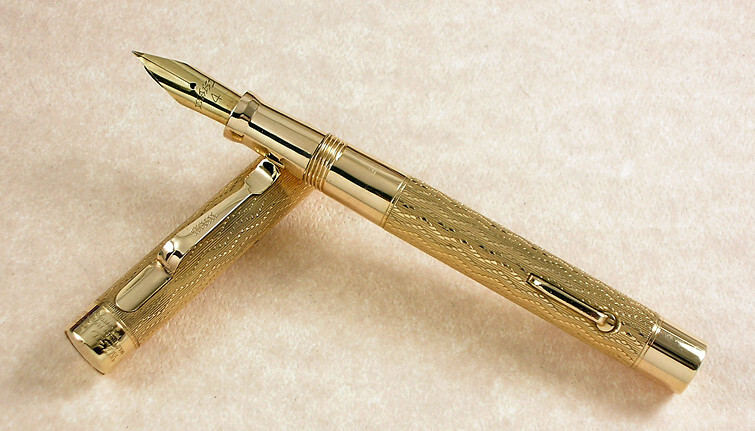 Lovely pen - does the nib feeling/feedback change much over the first few pages of use with smoothing from the paper ? 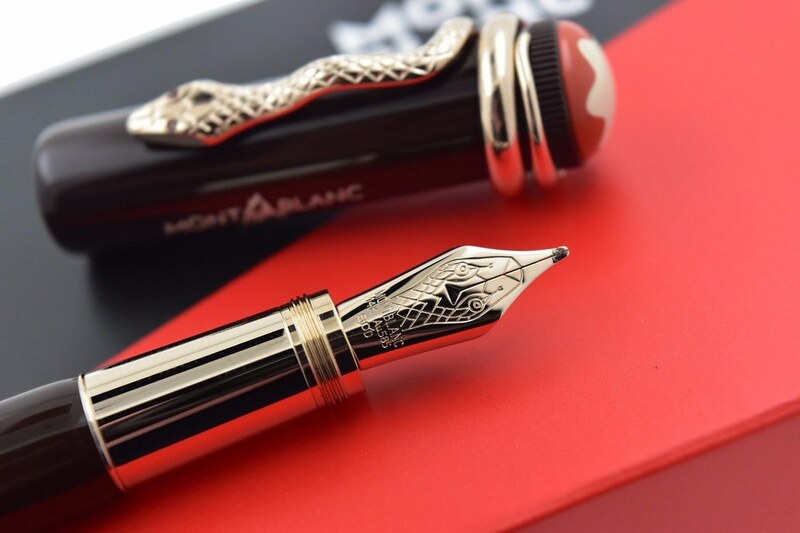 A Delta Dolce Vita Oro, broad, loaded with Montblanc Oyster Grey. This I got two days ago and use now. It's the one with the snake on the clip. Nope... It stays just as same as from the onset. 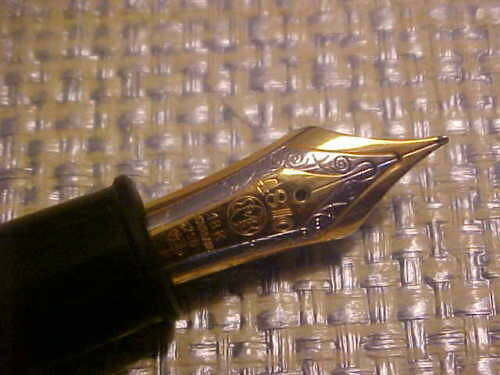 Good to know - I’m looking forward to wetting the nib of my Izumo when I’m back in the office next week !! Got a few inks to try out so will have to be patient with those too. My companion for the day ! Oh yes - I have that one in rollerball. The eye stones on the rollerball are green. I have one in the Tropic Brown. Had to do a little work to the nib and it now runs great! 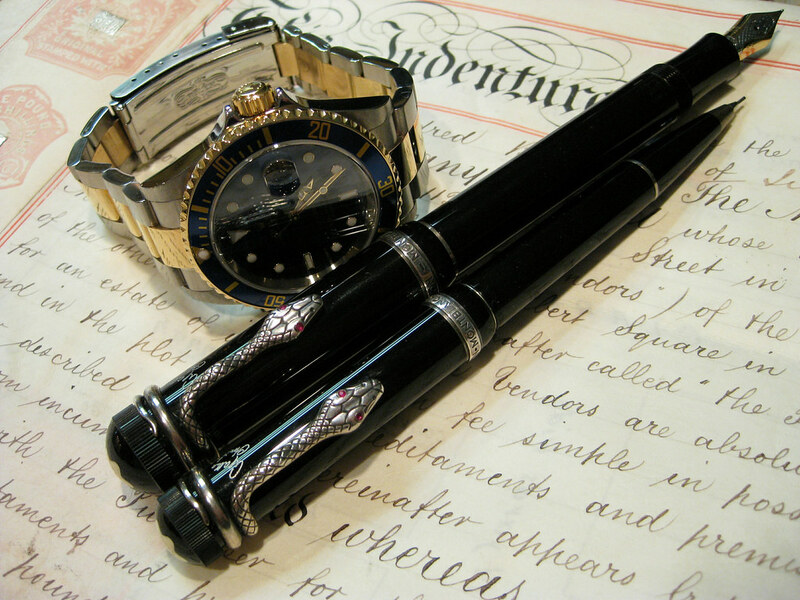 I do like thes pens and rollerballs serve their purpose! I have removed the pocket clip now as I noticed it unscrewed at the top of the cap. Looks very slick without and also feels great too. Can’t wait for the cartridge to run out to test out some new inks ! And tomorrow I will wet this wonderful Wahl #4 Ripple! Wow !! That’s lovely. 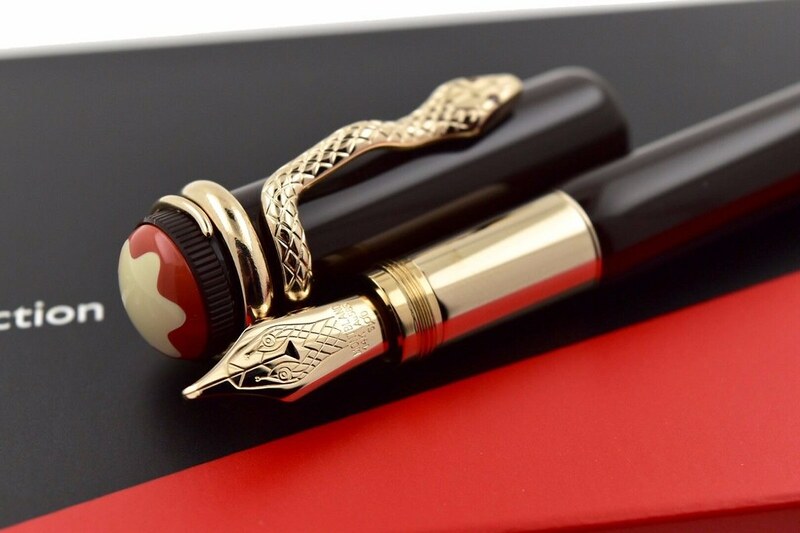 What is the pen made from ? What beautiful iridescence and looks like a matching ink. I think the whole ink game is also about to open up for me now too. been writing more notes than ever at work this week just as an excuse to use the pen. Finding it tough for my Caran d’Ache rollerball to get any time on paper at the moment. Really is joyful to use the FP. 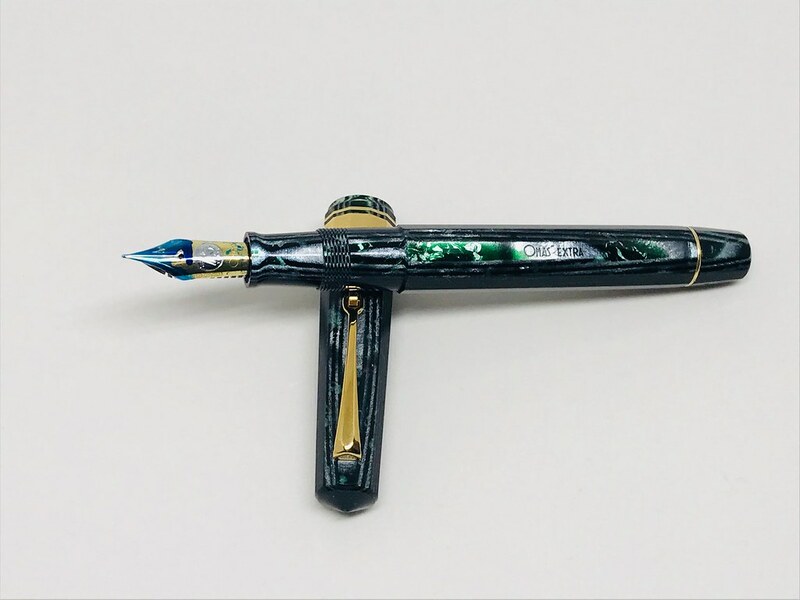 Black Pelikan M120 by Merz & Krell. All of them just write, right!